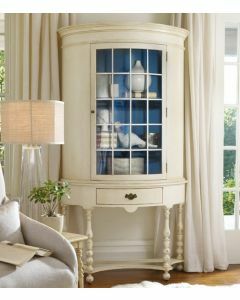 Breakfront with Wire Mesh Doors with brass tassel knobs. Breakfront is done in a Versailles Crème finish. It measures 96"H x 969"W x 23"D. Please note this item is made to order and may not be returned. This item is made to order and the production time is approximately 10-12 weeks. Click on image for greater details. Designers, please join our trade program for trade discounts on this item.